San Antonio, Texas is an amazing place found “deep in the heart of Texas.” The remarkable attractions and destinations in San Antonio are unlike any others found on the earth. For homebuyers looking to relocate in the area, San Antonio boasts an abundance of gorgeous homes for sale in prestigious and well-established neighborhoods. San Antonio is known to have one of the nation’s most stable real estate markets, in large part because of its never diminishing popularity. The homes in San Antonio are well-built and beautiful with options including a diverse range of architectural styles, sizes, ages and locations. Homes in the area vary in price depending upon those factors, ensuring every prospective buyer finds a home to suit their personal tastes and budget. With over 14,200 acres of parks, 114 miles of hiking and biking trails, and over 50 golf courses, San Antonio is a great place for lovers of the outdoors to call home. The great outdoors not your thing? 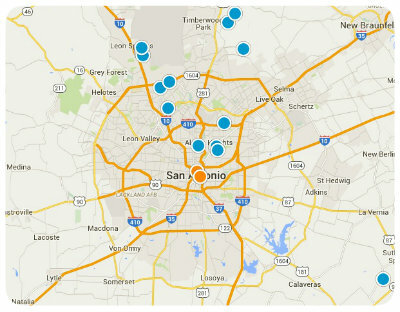 San Antonio is also home to nine major shopping malls within the city’s 467 square miles. All throughout this splendid city you can find upscale shops and one-of-a-kind boutiques, which is why it was named one of the nation’s top ten shopping destinations by Forbes.com. San Antonio is also a city with a long rich history steeped in culture and tradition. In addition to renowned destinations like the Riverwalk and The Alamo, San Antonio is also home to world-class museums, beautiful art and gorgeous architecture. Buy a home in San Antonio, Texas and you will have endless opportunities to fill your days and nights with as little or as much wonder and adventure as you desire. 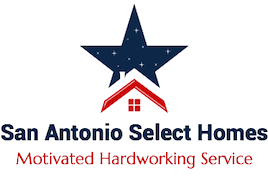 If you would like to buy a home in San Antonio, Texas, please do not hesitate to contact us today for more information.